In addition to supporting causes they care about through nonprofit board service and volunteering, many of our employees are concerned with the lack of diversity in the tech industry and with the shortage of trained workers to fill vacant cyber security roles. With 3.5 million unfilled cyber security positions expected by 2021[I] we need a pipeline of educated and prepared workers ready to defend organizations, governments and people from ever-evolving digital threats. As the world’s largest cyber security company, we are uniquely positioned to lead an effort to close the industry workforce gap with diverse, well-trained talent. We created the Symantec Cyber Career Connection (C3) to address the significant shortage of qualified cyber security candidates and to help change the trajectory of the tech workforce—specifically for women, underrepresented minorities, and veterans. Working in collaboration with our non-profit educational training partners Year Up, NPower, and The Stride Center, Symantec C3 is purposefully designed to produce entry-level cyber security professionals. The program combines classroom-based training that prepares students for key certifications with meaningful hands-on internship experience and support for job placement. The Symantec C3 program offers numerous ways for our employees, organizations, and individuals to make a difference. 1- Become a mentor – technical skills not required! Beginning a career in cyber security isn’t just about learning the technology. Learning how to communicate, collaborate, negotiate, and network effectively are important skills to make the most of any career. 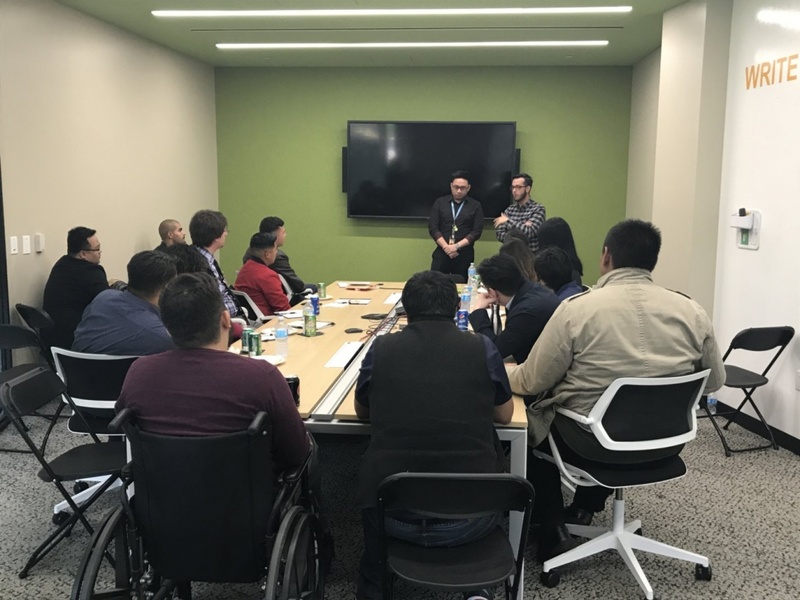 Many Symantec C3 students come from non-traditional backgrounds and employees in our Herndon office are making a difference through mentoring. Mentorship is an especially personal way to impact a young adult’s life. There is flexibility to mentor either in person and/or virtually. Contact Symantec’s CR team to learn more about becoming a mentor. Following classroom training, students apply what they have learned in internships in business settings. Symantec C3 students have had successful internships with leading companies such as Salesforce, Microsoft, eBay, Autodesk, TD Ameritrade, Morgan Stanley, and Gap, Inc. with many of these internships turning into full time employment. This year, we hosted two Year Up interns in our Mountain View office and six in our Herndon office and beginning in January, we will also have two Year Up interns in our Tempe, AZ office for the first time. 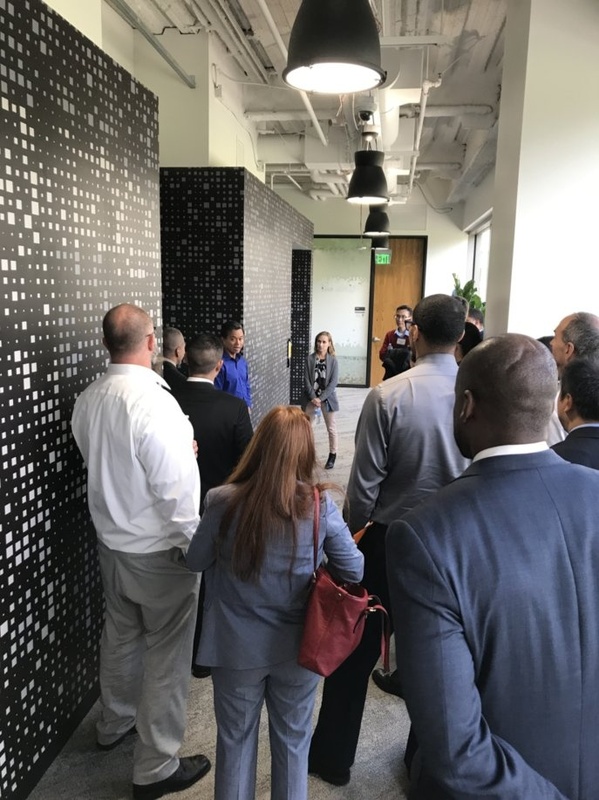 We host Symantec C3 students from Year Up, NPower, and The Stride Center at our offices several times a year for field trips. 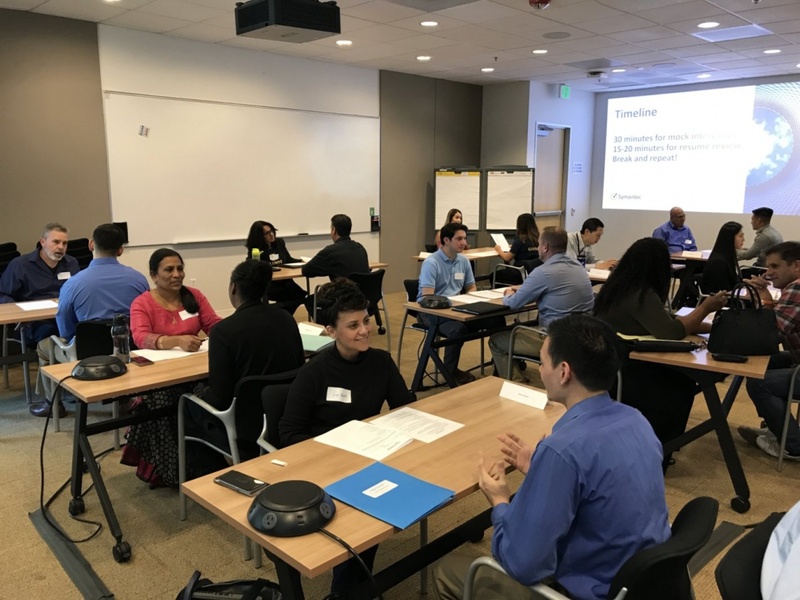 In 2018, 60 Symantec employees volunteered by sharing their experience on a career panel, showing off our data lab, helping run mock interviews and reviewing student resumes. For Michelle Losenicky, Senior Principal Program Manager at Symantec, participating in a Symantec C3 field trip was a great experience. “It’s really exciting and motivating to work with people who have made a decision that will not only change their career trajectory but their lives and the lives of their families, possibly for generations. Couple that with the fact we’re helping to close the technology workforce gap and you have the ultimate win-win situation! Whether I’m helping with mock interviews or sharing about my role in a security software company, it’s fun to teach, connect and share. And who knows, they might even be a future Symantec colleague of mine one day!,” she said. Volunteer at our upcoming Symantec C3 fieldtrip visit on January 23 in Mountain View! Contact Symantec’s CR team to sign up and stay tuned for more Symantec C3 volunteer opportunities coming in the new fiscal year! Symantec C3 training partners provide the technical certifications and training but nothing compares to real-world experience. You can help by providing internship opportunities in which program participants will grow their skills through practical application and on-the-job training. Symantec C3 students have interned at more than 115 companies, 20 percent of which are in the Fortune 500. Contact our training partners Year Up, NPower and The Stride Center to bring an intern to your office. 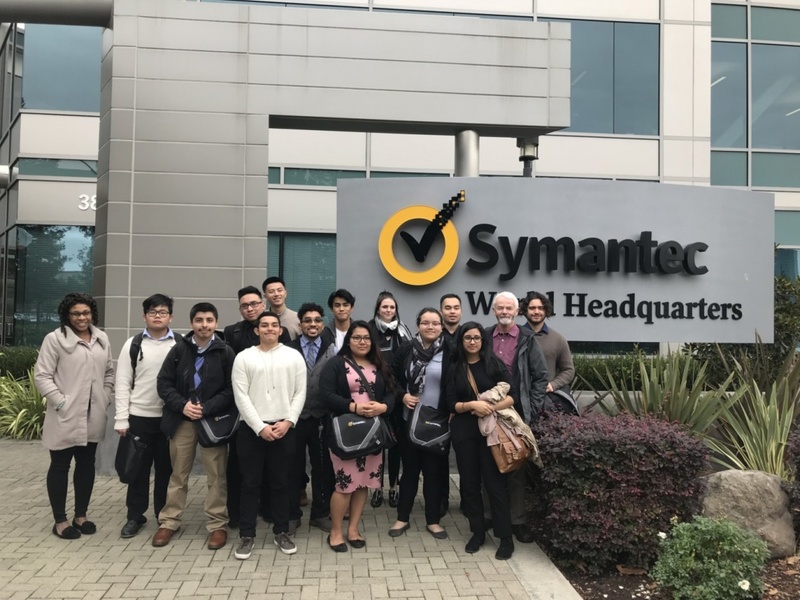 Qualified, diverse candidates are graduating from the Symantec C3 program and ready to help fill high-demand, hard to fill cyber security roles. Graduates leave the program prepared to succeed in their careers and to help solve today's cyber security challenges. To hire our graduates, please connect with us on Twitter at @SymantecC3 and LinkedIn, where we also share industry news, best practices and other resources. Our educational partners need mentors to help young adults navigate new experiences and shape their careers. Mentoring is an extremely flexible volunteering commitment that anyone can take part in – either in person or from your place of work, home, or both. All you need is your expertise, skills and most importantly dedication to share what you have learned. Learn more about how to get involved in mentoring with Year Up, NPower and The Stride Center. To date Symantec C3 has achieved a 79 percent graduation rate, with 82 percent of graduates employed in cyber security or pursing additional degrees within six months of graduation. Seventy-onepercent of graduatesare under-represented minorities in technology and 25percent of our graduates are female. We are creating the workforce of tomorrow and helping to close the cyber security gap by investing in the training of the future generation of STEM professionals. We hope you’ll join us.